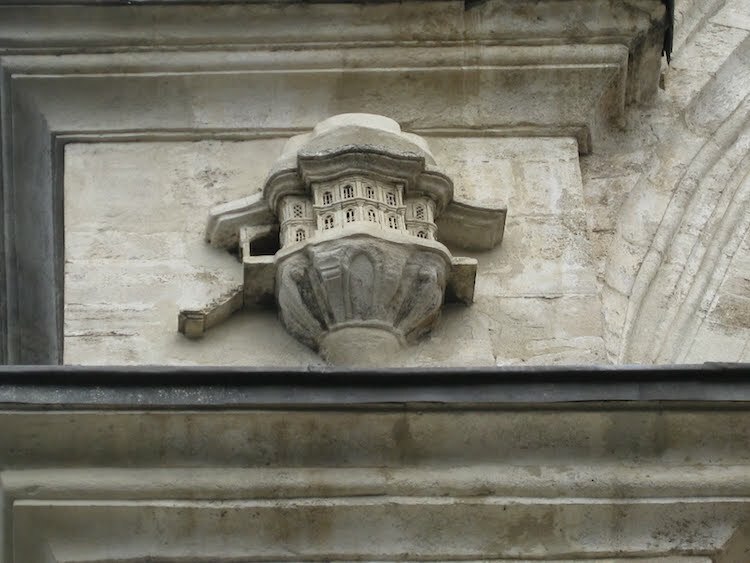 An important element of Ottoman architecture in Turkey was the addition of birdhouses affixed to the outer walls of significant city structures, a safe space for regular avian guests to nest outside of mosques, inns, bridges, libraries, schools, and fountains. 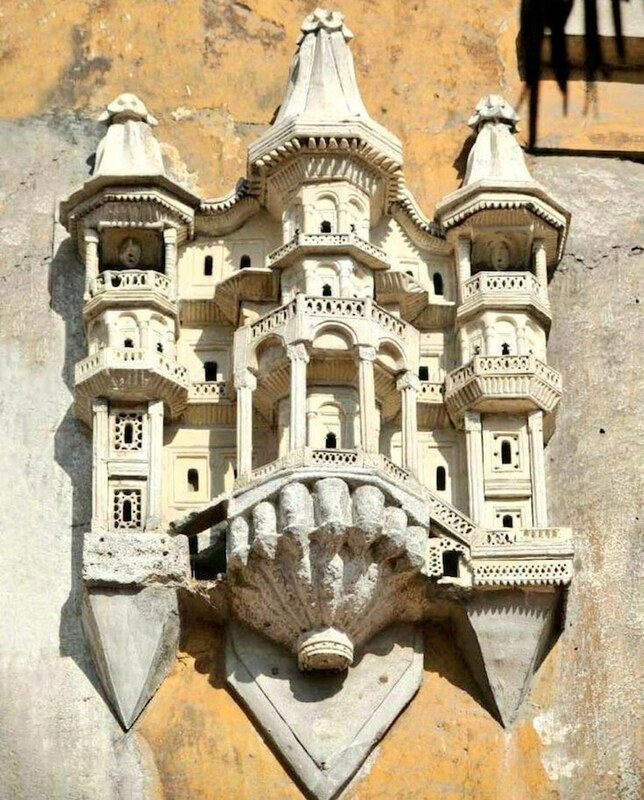 The birdhouses were not simple concrete structures, but rather elaborate feats of miniature architecture that ranged from one-story homes to multiple-story bird mansions. 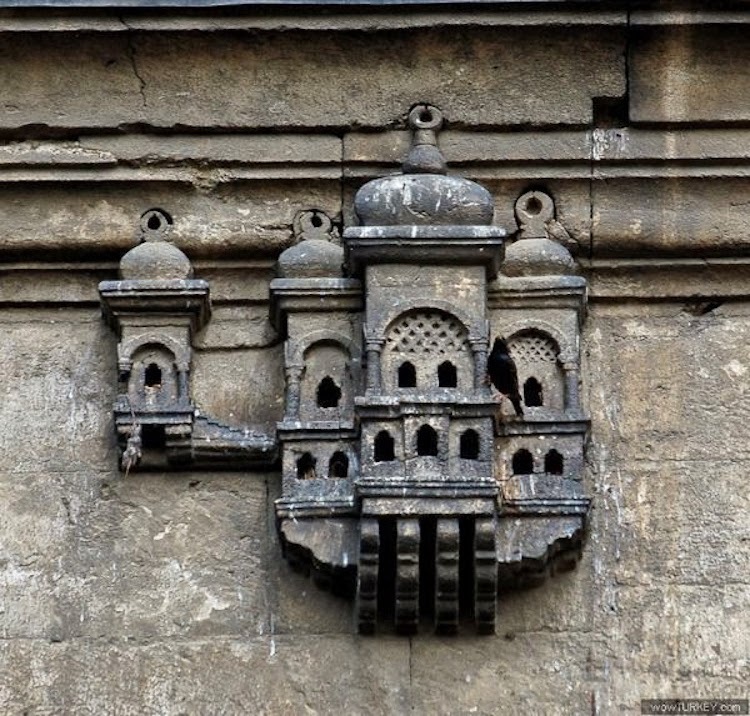 Each was designed with a similar design aesthetic to the country’s larger buildings, simultaneously providing shelter to sparrows, swallows, and pigeons while preventing bird droppings from corroding the walls of the surrounding architecture. In addition to providing shelter, the birdhouses fulfilled a religious vision. They were thought to grant good deeds to those that built the tiny homes. 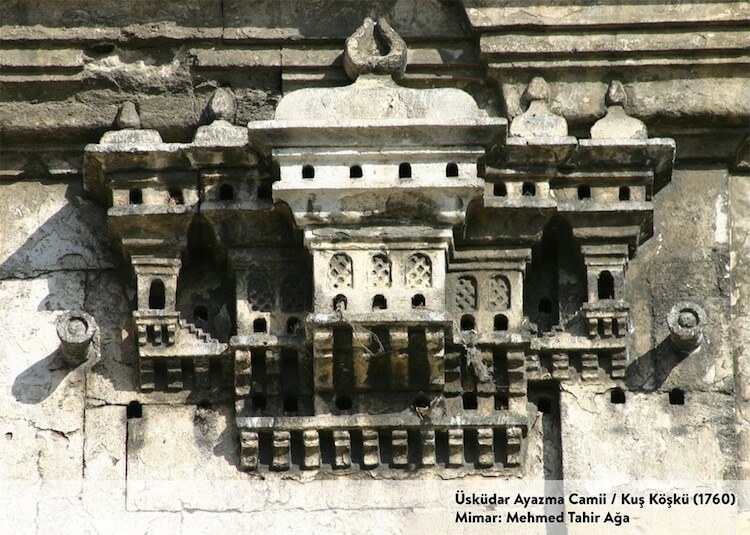 Through their abundance and care, the structures encouraged a love of animals in the Turkish public, citizens who adopted several nicknames for the homes over the years including “kuş köşkü” (bird pavilions), “güvercinlik” (dovecots) and “serçe saray” (sparrow palace). 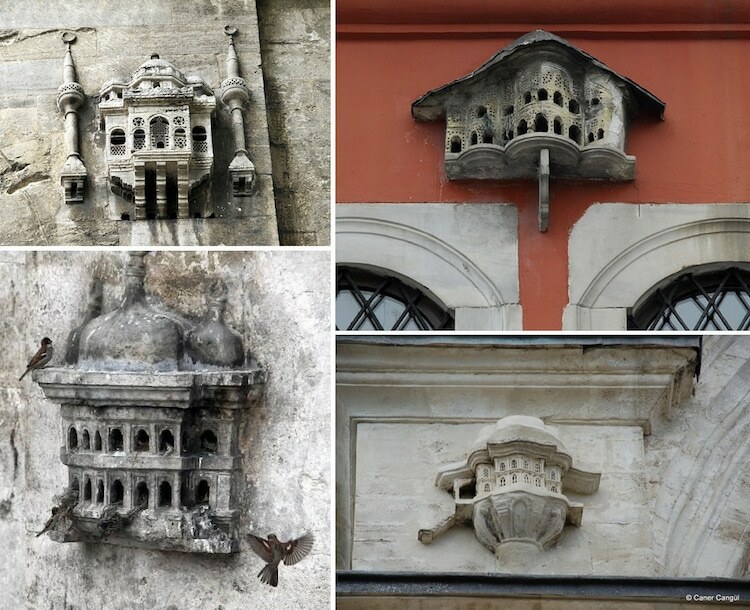 Only some of these bird mansions remain today, however their place is firmly rooted in Turkish history. 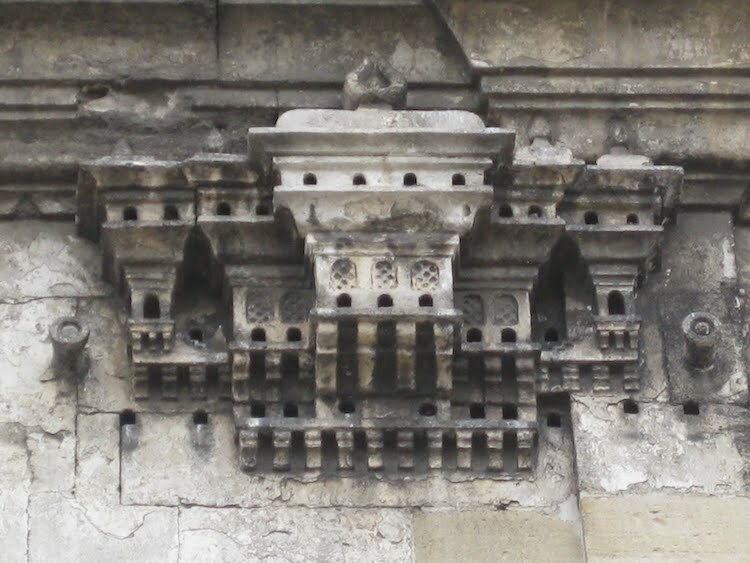 Nearly every city in the country contains examples of the bird homes, the oldest example, a 16th-century house attached to the Büyükçekmece Bridge, still surviving in Istanbul. 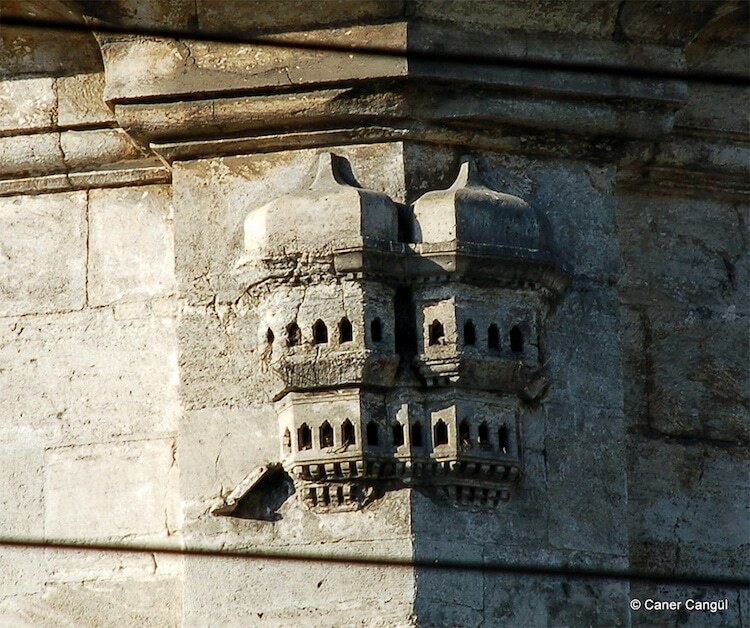 Ottoman architecture built between the 15th and 19th century was created for more than humans. Feathered friends were also welcomed with elaborate birdhouse designs. The designs are miniature palaces that project from the exterior. 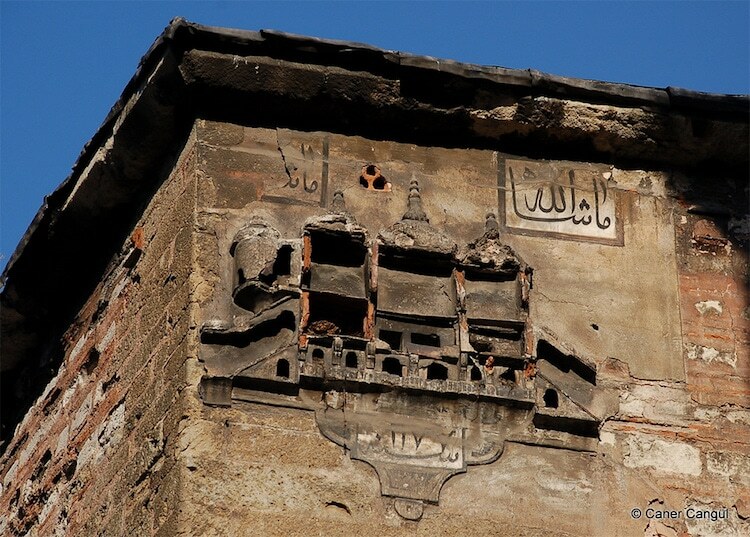 Although prevalent throughout Turkish cities long ago, there are only a fraction of them left today.